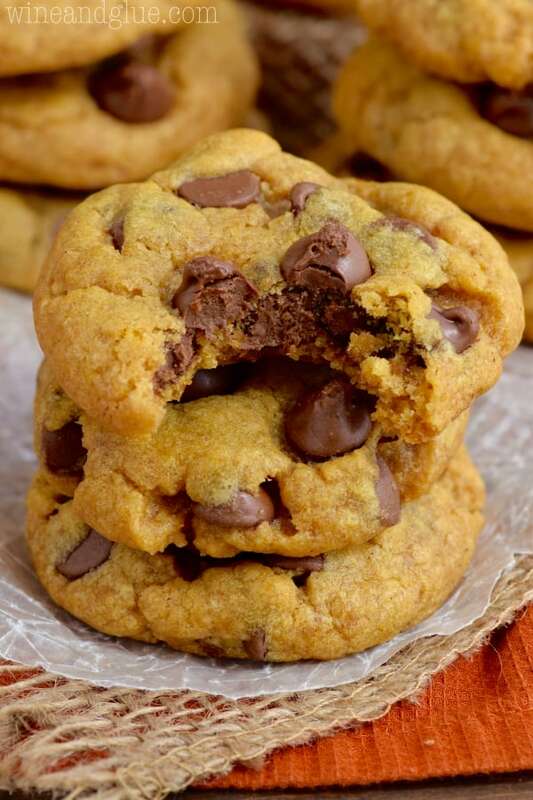 These Pumpkin Chocolate Chip Cookies are a fall twist on your favorite! Crisp on the outside and buttery delicious on the inside! Preheat your oven to 325 degrees. Line a baking sheet with parchment paper or a silicon mat and set aside. In a large bowl mix together the flour, baking soda, salt, cinnamon, and nutmeg. Mix together the melted butter, brown sugar, and granulated sugar until smooth, about one minute. Add in the egg yolk, then the vanilla, then the pumpkin and mix until just combined. and place about two inches apart. Bake for 17 minutes or until the edges of the cookies just begin to brown. Let sit on the baking pan two minutes, then remove to a cooling rack and allow to cool completely. Should You, or Should You NOT Store Bread in the Fridge? Are YOU a “Supporting Actor” Kind of Foodie? The Parsnip: Health-wise and Taste-wise, It’s a Winner! Willy Wonka and The Most Fun Party Idea Ever! Memoirs of a Long Lost Crockpot….A Mystery! What kind of crab do you use in a crab salad recipe? A short lesson on the life of a short-order cook! Preschool from a two year olds point of view! They Finally Found a Name For Us! Who was driving that car?